When my college roomie & good friend Brooke told me she was getting married in Tamarindo, Costa Rica I instantly had visions of sunshine, surfing, and vows on the beach. I was determined to make it work financially- grouping Christmas & birthday funds and making plans with my besties for a girls trip! Tamarindo definitely did not disappoint. We packed an incredible amount into our four days and I wanted to share a few of my favorite highlights & tips for anyone traveling into the area. Now that I'm back in the states, I'm still dreaming of those pina coladas by the pool! Vacation couldn't have come at a better time. It was SO amazing to unplug and catch up with friends. Check out my snapshots from my travels and be sure to read the full guide at the bottom of the post. Packing for Costa Rica? It was SO hot when we were there (high 90's). 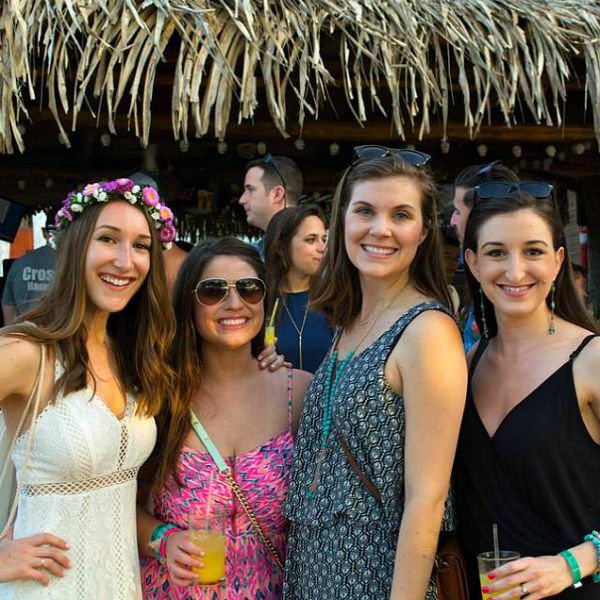 Plan on bringing plenty of bikinis, tropical prints & sandals for the beach. 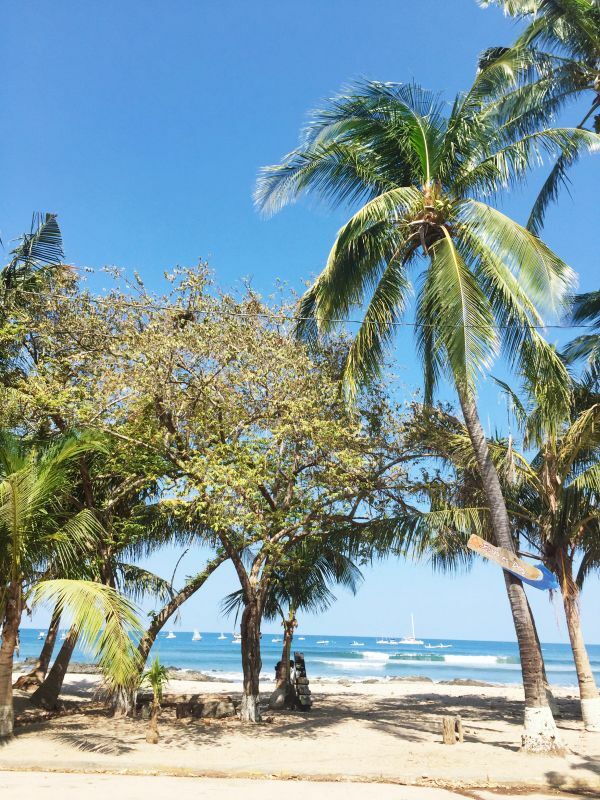 It's an extremely casual vibe in the surf town of Tamarindo where we stayed. 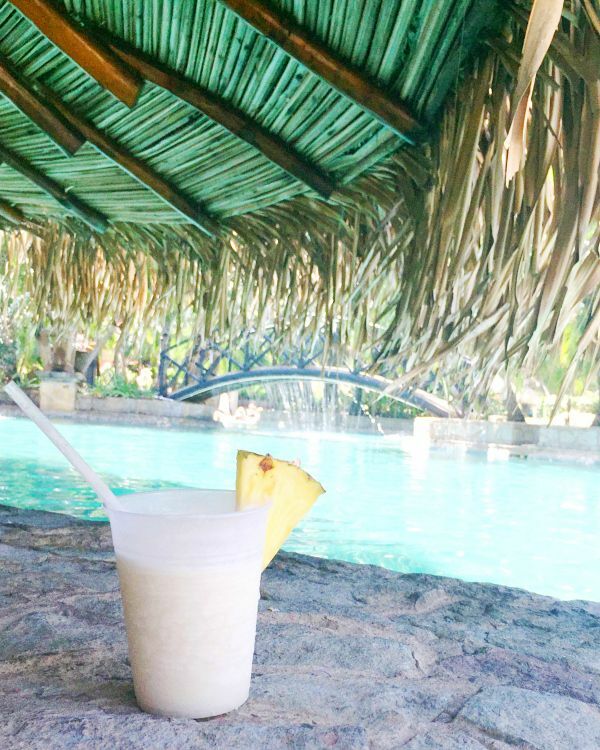 Freshly made pina colada at the swim up bar at the Tamarindo Diria Hotel. This was right where we caught our catamaran sunset cruise. A huge group of us took surfing lessons right outside of our hotel on Playa Tamarindo. 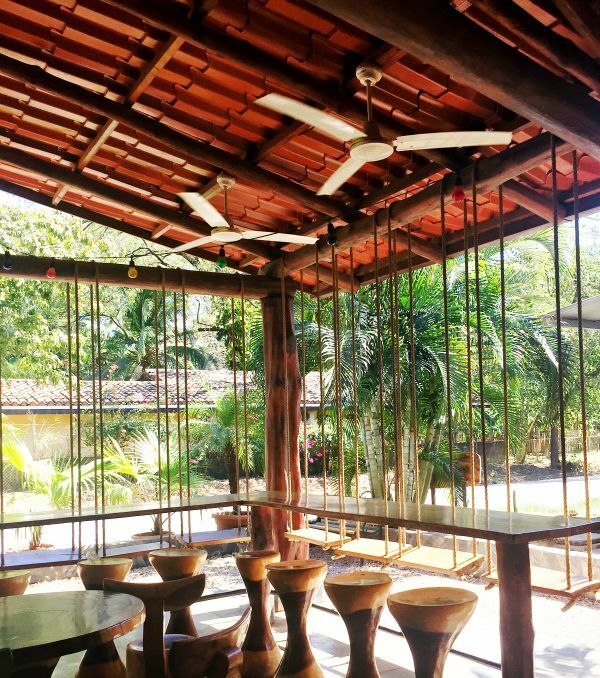 Swings for chairs at the Green Papaya in Tamarindo. If you like pina coladas .. & getting caught in the rain! Take a Surfing Lesson - We each paid about $30 each for a group of us to take a 90 minute surfing lesson. There are tons of guys on the beach who give lessons and provide the boards. Everyone in our group caught a wave and it's a really great surfing area whether you're a beginner or expert. Lunch at Green Papaya- This place was AMAZING. Not only are there swings in lieu of chairs, but it was one of the best meals we had the entire trip. I had a passion fruit iced tea & am still craving the tortilla chips and black bean dip. Catamaran Sunset Cruise- A group of us booked this through Marlin Del Rey. They provided lunch, all you can drink cocktails (frozen mojitos and pina coladas from scratch! ), and a 4 hour trip that finishes up with a beautiful sunset. My only complaint was that there was not much to see in the area we stopped for snorkeling, but we had a great time. Shop at Guana- Most of the shops in Tamarindo sell the same kind of touristy beach apparel, but, this one definitely stood out. The graphic design & store displays were beautiful. I ended up picking up a "Pura Vida" shirt as a souvenir for Kyle & myself. Stay at the Tamarindo Diria- This is the hotel most of the wedding guests stayed at and it was amazing. The location is right on the beach, there are amazing pools with swim up bars, shopping & restaurants right on site, a breakfast buffet that's included, and extra security. Try a Casado Lunch- Try a classic Costa Rican lunch option to dine like the locals do. A "casado" typically includes rice, black beans, plantains, tortillas & chicken or beef. 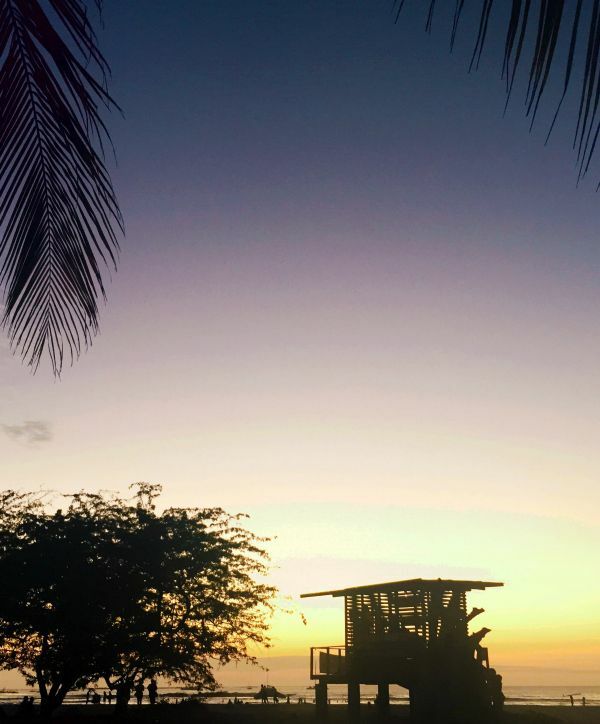 Other great restaurant/bar options to try: Volcano Brewing Company (for watching the sunset with a local beer in hand), Pangas Beach Club (the wedding ceremony and reception were here- it's an amazing spot and the food and drinks were delicious), El Be! (for a fun & casual happy hour spot). Bring extra water or buy it at the airport. Water was extremely pricey (and obviously extremely necessary). Though the water is safe to drink most tourists opt for bottled water. We paid around $15 for 6 1-liter bottles. Drink tons of water. Seriously, even more than you think you need. You get dehydrated so quickly. Many in our group were getting sick from not having enough. Don't skip the sunscreen. Since Costa Rica is right on the equator sunscreen is a necessity (as well as re-applying every couple of hours). It's so easy to burn! I wish I would have brought a bottle with me (I didn't have anything travel size), because buying sunscreen in Tamrindo was crazy expensive (around $15 for a bottle of SPF 50). Costa Rican currency: You can get colones (the official currency of Costa Rica) by using your debit card in any of the ATM machines in Tamarindo or at a currency exchange at the airport. Most places take U.S. cash but you will receive your change in colones and many times businesses just round up. I think I was most surprised that things were very comparable (or more expensive) than U.S. prices. 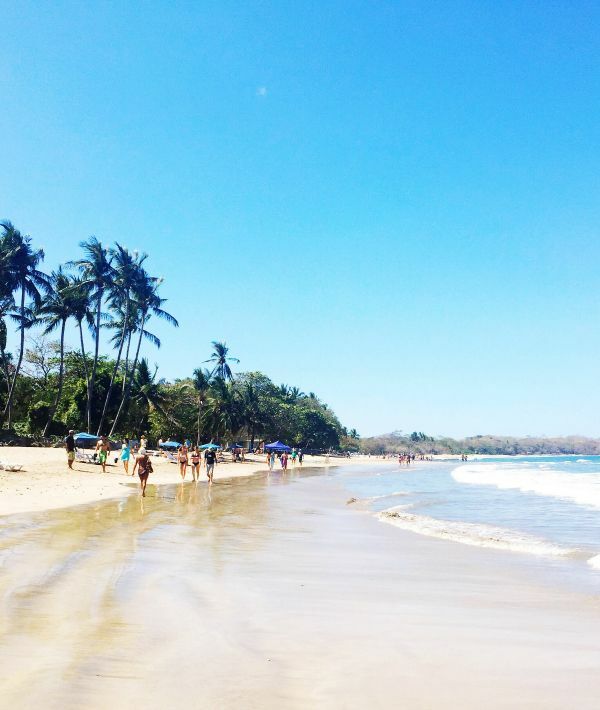 Brush up on Spanish: Though most businesses in Tamarindo speak English, I really would have benefited from brushing up on some basic Spanish phrases. Next time I travel abroad I'm going to use Duolingo. Communicate with Whatsapp: You'll want to turn your phone to airplane mode unless you have an international data plan. Whatsapp is the best way to communicate with friends and family from home. When you're connected to wifi you can chat in their app that works just like text messaging- you'll just need to make sure they have the app. 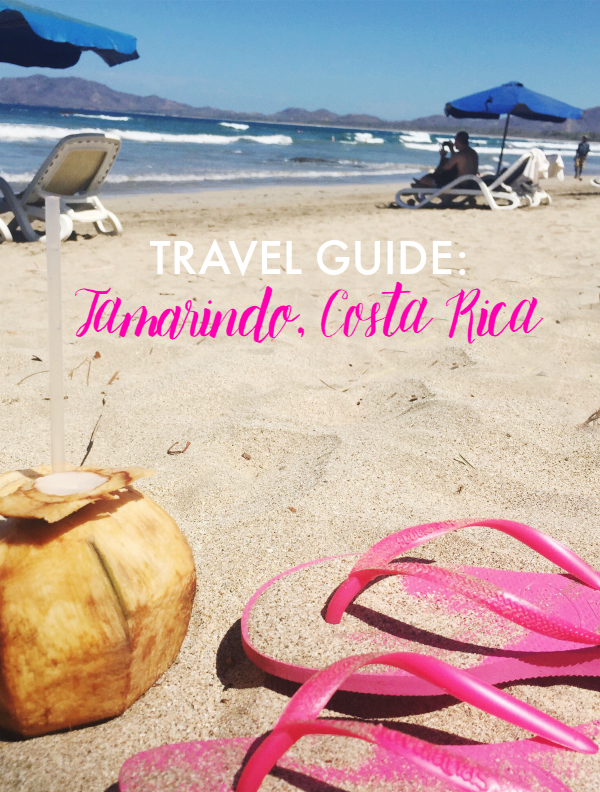 I hope these travel tips help if you're looking to plan a trip to Costa Rica! It was such a beautiful country and I wish we would have had more time to explore and take a rainforest tour and do some hiking. I'm already dreaming about my next travel adventure! Where are you wanderlust-ing about right now? This seriously looks like so much fun! I'm in need of a vacay, but I will just have to wait! I might put this down as a honeymoon spot!